On April 10th, 2019, Verdi’s Un Ballo in Maschera was presented at the NCPA again. 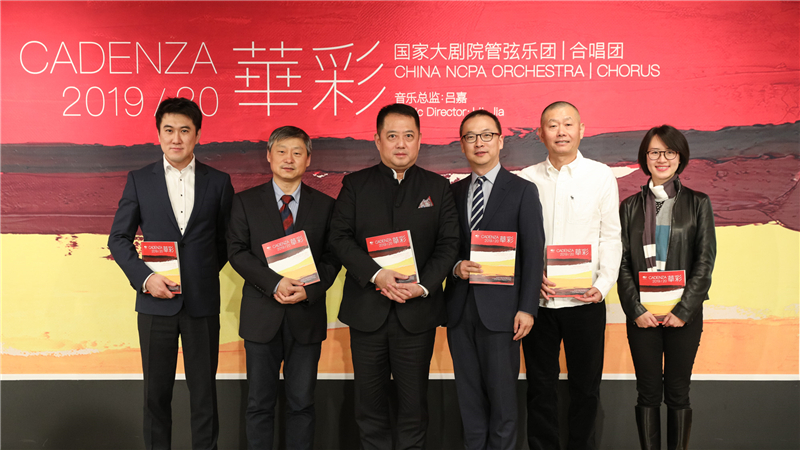 2019/20 Season of China NCPA Orchestra and NCPA Chorus also kicked off. Under the theme of “Cadenza”, both iconic resident performance groups will join hands with LÜ Jia (Music Director and Artistic Director of NCPA) and many world-class guest artists to offer an artistic feast of more than 120 operas and concerts to Beijing audiences, with a view to paying tribute to the art, singing odes to the times, and celebrating the 70th anniversary of the PRC. Upon the start of this new Music Season, China NCPA Orchestra will also visit South Korea and join the 31st Symphony Music Festival of Seoul Arts Centre. As the only invited Asian orchestra, it will resound the grand finale for this Symphony Music Festival on April 21st, 2019. The resonance of Chinese melody and global rhythm has been an important tradition of Music Season of China NCPA Orchestra and NCPA Chorus for many years. In the past nine years, numerous Chinese works have been performed by China NCPA Orchestra. Up to now, 17 Chinese opera commissions have been presented, while a total of more than 100 orchestral works have been unveiled. 2019/20 Season coincides with the 70th anniversary of the Founding of the People’s Republic of China. China NCPA Orchestra especially carries out China-focused series entitled “Sounds of China”. As NCPA commission, symphonic poem Grand Chorus of Beijing, jointly produced by TANG Jianping, MENG Weidong and ZOU Jingzhi, will be the first large-scale musical work on local stage with the theme of Beijing’s magnificent history and landscape painting. As another NCPA commission, CHEN Qigang’s new work Life Is Like a Play will also usher in Asian Premiere under the baton of Chung Myung-whun. Moreover, China NCPA Orchestra and NCPA Chorus will cooperate with Macao Orchestra to show The Yellow River Cantata in Beijing and Macao, celebrating the 20th Anniversary of Macao’s Return to the Motherland with this immortal classic that spans time and space. In addition, “Sounds of China” will bring together Transformation (by HUANG Ruo, an international rising star and Chinese composer), China Edition of Young Person's Guide to the Orchestra (by YU Jingjun), unique pipa and cello concerto Carefree Journey (by ZHAO Lin), several new works under “NCPA Young Composer Programme” and dozens of Chinese works carefully rearranged by China NCPA Octet. As for opera commissions, NCPA and ZHANG Qianyi will jointly perform Song of Youth on the opera stage for the first time, which will serve as a tribute to the 2019 National Day. Other NCPA commissions, such as The Long March and Visitors on the Snow Mountain, will also be performed again. During 2019/20 Season, audiences will be also impressed by artistic accomplishments of top conductors and soloists, including Christoph Eschenbach, Chung Myung-whun, Ryan Bancroft, Kian Soltani, Khatia Buniatishvili, as well as those artists cooperating with China NCPA Orchestra, such as Jukka-Pekka Saraste, Markus Stenz, Vladimir Fedoseyev, Manfred Honeck and Daniel Stabrawa (Concertmaster of Berlin Philharmonic Orchestra). As a pipa player with international reputation, WU Man is not only an envoy of Chinese music and the spokesperson of pipa music in the international music circles, but also a symbolic figure of crossover music and cross-cultural communication. She will be invited to serve as resident artist of China NCPA Orchestra 2019/20 season, and work together with other China NCPA Orchestra musicians specializing in wind music, guitar music, percussion music to present four concerts in different forms during this new Music Season. WU Man, Mongolian avant-garde musician Zulan and the musicians of China NCPA Orchestra will jointly explore the infinite fun in the form of dialogues and discussion with music fans. In addition, the famous violinist Anne-Sophie Mutter will serve as another resident artist during this new music season. In December 2019, she will cooperate with China NCPA Orchestra, Manfred Honeck and Khatia Buniatishvili to present four complete violin works by Beethoven with a powerful cast. Now the global craze is gearing up for the 250th Anniversary of the Birth of Beethoven in 2020. The upcoming four concerts at NCPA, with Mutter as concertmaster, will not only enthusiastically congratulate the 12th anniversary of NCPA, but also let local fans have the opportunity to be the first to plunge into Beethoven boom endorsed by Mutter’s top-quality violist attainment. During 2019/20 Season, more than 30 symphonic and chamber music concerts will be held by China NCPA Orchestra, so as to guide audiences and fans to take a closer look at many composers’ charm, and savour splendid colours of classics in different periods and from various regions. To commemorate the 210th Anniversary of the Birth of Mendelssohn and the 70th Anniversary of the Death of Richard Strauss, China NCPA Orchestra meticulously designs two series entitled “Romantic as It Is” and “Also Sprach R.Strauss”, respectively. In “Romantic as It Is” series, a number of classic works by Mendelssohn will hold the spotlight, including eternal classic Violin Concerto in E Minor and Symphony No. 2 presented by LÜ Jia, China NCPA Orchestra and NCPA Chorus. Through “Also Sprach R.Strauss” Series under the baton of LÜ Jia, the audiences will appreciate the composer’s series works with different genres and forms throughout his lifetime, spanning from Horn Concerto No.1 in early years to Vier Letzte Lieder in late years. In “Russian Kaleidoscope” Series, masterpieces by Tchaikovsky, Prokofiev, Scriabin, Nikolay Rimsky-Korsakov, Rachmaninov and other composers, will be jointly performed to let the audiences and fans have the opportunity to enjoy Russian music during this season. As China NCPA Orchestra and NCPA Chorus are resident groups of NCPA, joint performance always attracts extensive attention. During 2019/20 Season, both resident groups will continue to work together to present symphonic chorus works in a variety of styles, such as Grand Chorus of Beijing (an epitome of Beijing culture), The Yellow River Cantata (an ode to firm and unyielding spirit of the Chinese Nation), and the mighty Symphony No. 2 by Mendelssohn. Such perfect cooperation will also certainly shine the opera stage with many highlights. Following Un Ballo in Maschera by Verdi, The Tales of Hoffmann by Offenbach, Turandot by Puccini and Carmen by Bizet are popular classics among many fans. Les Pêcheurs de Perles by Bizet, La Fanciulla Del West by Puccini and Tour De Lance by Rossini will make debut as new NCPA productions. In addition, NCPA Chorus will satisfy choral enthusiasts with more than 20 wonderful choir concerts. In the past few years, China NCPA Orchestra unswervingly strives to make audiences achieve zero-distance contact with the art scene and explore for the mystery of music together with musicians. 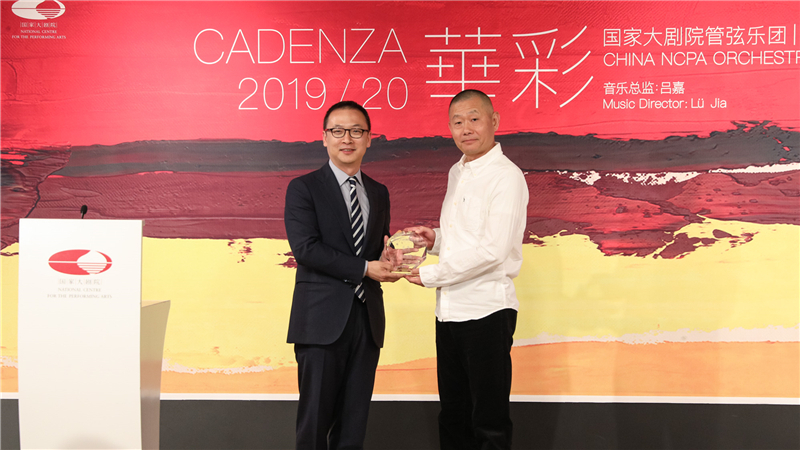 In 2019, China NCPA Orchestra further upgrades “Art Experience”. In addition to many weekend concerts, musicians and critics, such as LÜ Jia, Markus Stenz, ZHUANG Dongjie, LI Xincao, WU Man, CAO Liqun, ZHANG Kexin, will greet fans through “Focus Talk”. They will give lectures to jointly discuss about music topics with fans. By means of innovative and various performance combinations and interaction, musicians of China NCPA Orchestra and NCPA Chorus will also continue to walk out of NCPA, spread the beauty of music outside the stage to hospitals, schools, enterprises and communities, and help more people listen to the music around without walking into the concert hall. 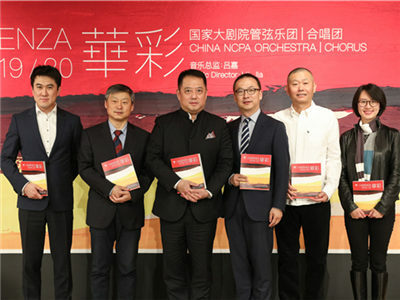 China NCPA Orchestra always commits to outreaching the stage for musicians farther, and narrowing the gap between the orchestra and the audiences. 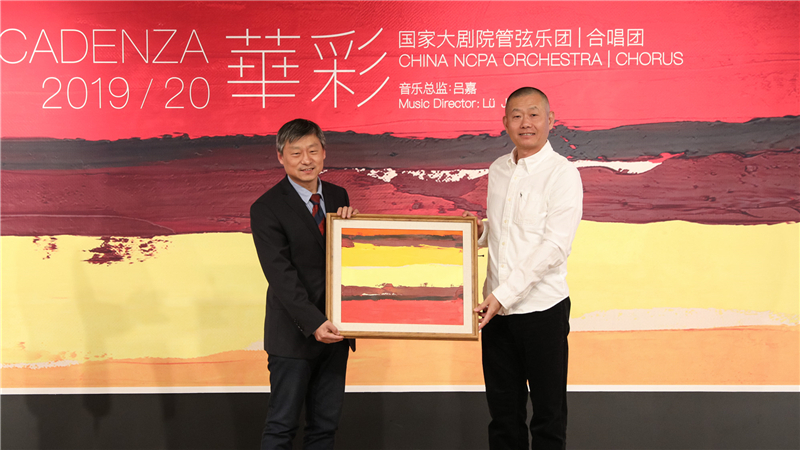 In addition to the constant upgrades and increasing external activities, China NCPA Orchestra is still seeking after the good opportunities to offer more online art experience chances for audiences. The performers run “NCPAO Online Class” through WeChat account of the orchestra in recent years. They introduce the exquisiteness and secrets of musical instruments to WeChat users by referring to their own experience. They are favoured by many fans. 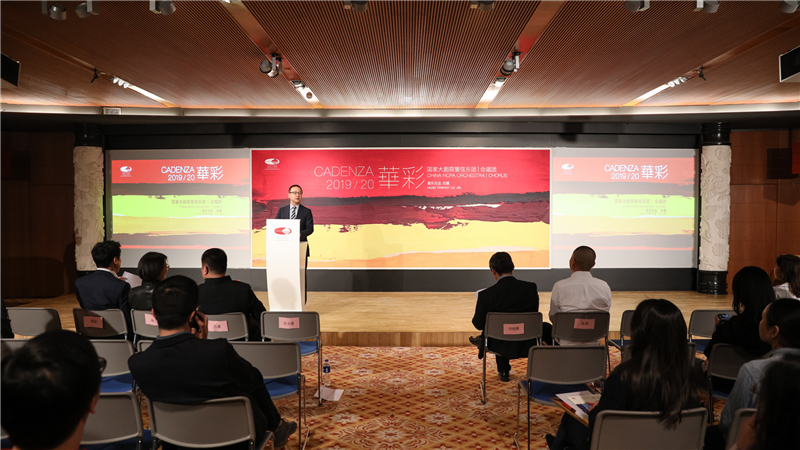 During the new season, China NCPA Orchestra will not only continue to roll out new contents of “NCPAO Online Class”, but also release art experience and music education contents on more Internet and social media platforms.